Jack Nashers books have reached multiple bestselling status and appeared all over the world. Kompetenz ist der entscheidende Faktor, wenn es darum geht, Menschen von sich zu überzeugen. Jedoch sind wir miserabel darin, die Kompe- tenz anderer zu bewerten. In „Überzeugt!“ erfahren Sie, wie Sie Ihre Fähigkeiten nach Außen tragen und die Achtung anderer gewinnen. Verbale und nonverbale Kommunikation sind dabei nur die halbe Miete: Zum Gewinner wird, wer psychologische Effekte und Phänomene nutzt, um sein Standing zu verbessern! Ihre Seele dürfen Sie behalten. Where was your partner last night? Has your neighbor scratched your car? How much can the boss really pay you? “Lügenpapst” Jack Nasher shows in his book the most effective interrogation techniques of psychological research and international intelligence services that you can immediately implement in your everyday life! They learn the most important characteristics, to look at lies and, in addition, to the techniques of professionalism and professionalism, so that you can reach the whole truth! An effective mixture of espionage and psychology – exciting as “CSI”, “Lie to me” or “The Mentalist”. With this guide, you will become a human lie detector that will see the whole truth! The Consistency-Effect, the Liking-Bias, the Endowment-Effect: the most effective psychological techniques for any negotiation. 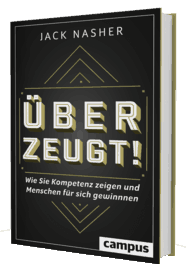 Possibly the most effective negotiation system ever devised – applied by world leaders such as Daimler and H & M.
Durchschaut! Das Geheimnis, kleine und große Lügen zu entlarven (Got you! The Secret of Detecting Small and Big Lies), published by Random House Germany, is a bestselling book in Germany, Austria, Switzerland, Poland, Czech Republic, Korea and Taiwan – more translations will follow. Based on the latest psychological findings and many examples from the fascinating world of intelligence, Jack Nasher explains how to use our perception to catch the little signs of deceit. The book is the perfect lie detector! 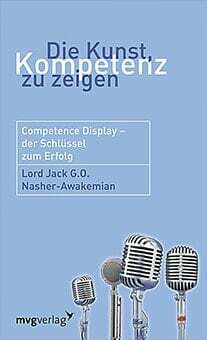 Die Kunst, Kompetenz zu zeigen (The Art of Showing Expertise) was published in 2004 by mvg and layed the foundation for Jack Nasher’s research on how to display expertise. Die Moral des Glücks. 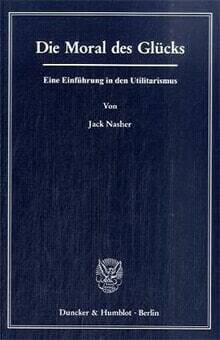 Eine Einführung in den Utilitarismus (The Moral of Happiness: An Introduction to Utilitarianism) is a book on an ethic. It is an ethic rooted in psychology, in the human pursuit of happinness. This introduction gives an overview of the relevant thoughts and critiques of utilitarianism – from Bentham to today. As the spiritual father of “open society”, Karl Popper became the court philosopher of Western democracy. His theory of the state stands against the backdrop of his pioneering theory of science, since he assumes a unity of method. 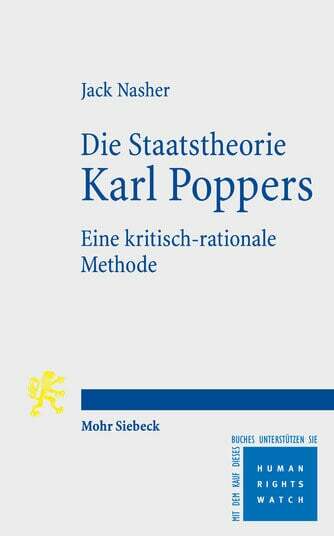 However, Popper himself has dispensed with a coherent account of his political philosophy. Jack Nasher reproduces Poppers’ theory of state from his entire opus mosaic-like. Poppers open society is characterized by a policy of small steps that are always measured by their effect on the improvement of living conditions. The tribal life is abandoned, in favor of a free individual, but the recurring incestuousness of the tribe is fire-threatening. The core of democracy is to be able to get rid of rulers without bloodshed. On the other hand, they have little to do with “Volksherrschaft”, which always leads to disastrous disappointments.